In April 11, Professor Juin-Yih Lai, who is Advisory Board Member of Journal of Membrane Science, and Chair Professor of Chung Yuan Christian University, and Professor Li Kuiran, who is professor of Chung Yuan Christian University were invited to visit our laboratory. Professor Juin-Yih Lai is the founder of Research and Development Center for Membrane Technology of Chung Yuan Christian University, has served as director of the thin-film technology R & D center in Taiwan Chung Yuan Christian University, president of the Asian-Australian film center, access to the ROC Polymer Society Lifetime Achievement Award in 2010. Professor Li Kuiran is currently the director of Research and Development Center for Membrane Technology in Taiwan Chung Yuan Christian University, specializing in penetration evaporation, membrane module design, gas separation , membrane structure determination , positron annihilation analysis. They are experts in the field of membrane technology. 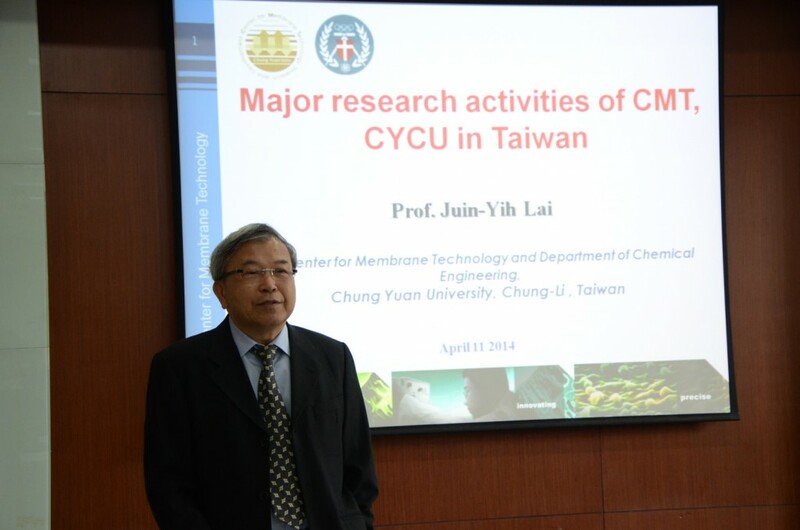 First, Professor Juin-Yih Lai gave us a report entitled “Major research activities of CMT, CYCU in Taiwan”, to introduce the development process of the CMT and the main centers of its research. 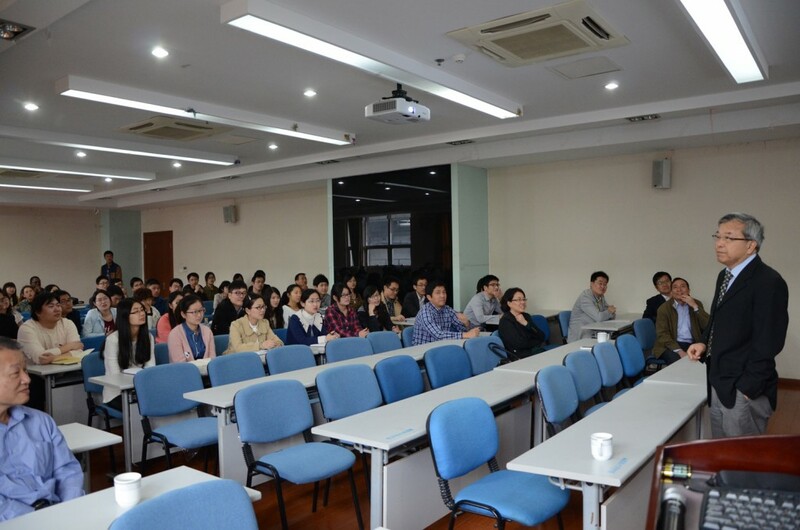 Professor Juin-Yih Lai’s humorous style attracts everyone present. Through the introducing of the decades in the course of CMT, Professor Juin-Yih Lai encouraged us to love science and when in the face of setbacks, we should persevere in order to succeed. 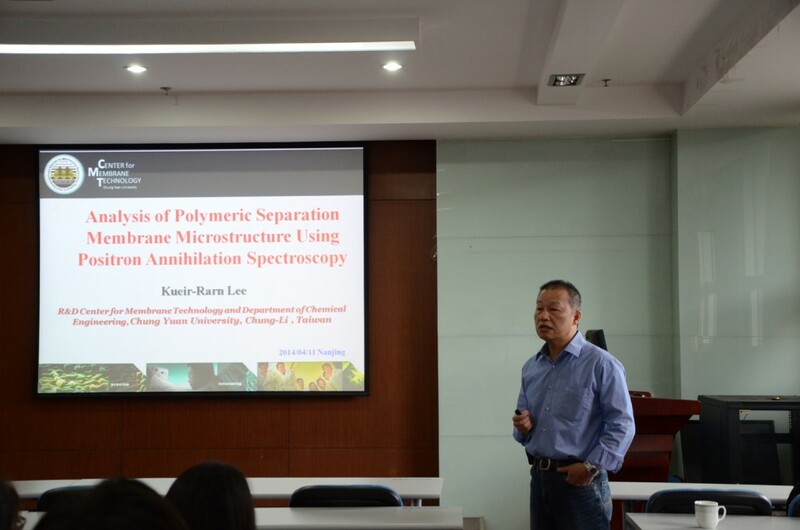 Subsequently, Professor Li Kuiran gave us an academic report entitled “Analysis of Polymeric Separation Membrane Microstructure Using Positron Annihilation Spectroscopy”. Professor Li Kuiran vividly introduced the basic principles of positron annihilation technique and its analysis plays a role in the material. Positron annihilation technique is a relatively new technology of nuclear physics, which uses positron an analysis of the material in the most condensed matter annihilation radiation in order to analyze the microstructure of the material inside, the electron momentum distribution and defect status and other information, is one cutting-edge technology. Professor Li Kuiran has been long engaged in research and technology of positron annihilation, and used it pretty well a good film materials in the development and design, such as in blood purification, membrane fouling research has made significant progress. Professor Li Kuiran speech fantastic venue occasionally burst into applause. After the speech, the two professors interacted and communicated warmly with the students and patiently answered the questions raised by the students. At the end of the report, the audience responded with warm applause again, thanks to two professors wonderful speech. Through this exchange, teachers and students here not only gained abundant knowledge, but also the harvest of science and perseverance.